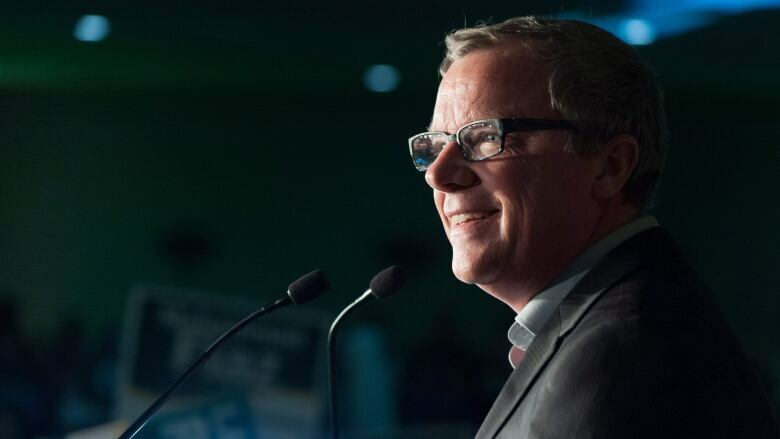 The Saskatchewan Party will elect a new leader on January 27. The race to become the next leader of the Saskatchewan Party — and the de facto premier — is entering its final stretch. It's a race one political expert has characterized as "odd" and "bland." Friday is the last day for anyone hoping to vote for the Saskatchewan Party's next leader to buy a party membership. This week also marked the sixth and final leadership debate for the six candidates in the running. During the most recent debate, held Thursday night in Regina, former deputy minister to the premier Alanna Koch wouldn't commit to running in the 2020 general election, when candidates were asked if they would do so regardless of the leadership outcome. Koch said if she is elected as the party's new leader, though, she would run in the next election. "This question shouldn't be contingent on the leadership. It should be about our devotion to the party and our wanting to contribute to winning in 2020," said rival candidate Ken Cheveldayoff. Koch then clarified, saying her commitment to the party is unquestionable. "I don't have a seat to run in right now in my home riding and I think it doesn't work well for me to make a commitment to run in 2020 when I don't actually have a seat to run in," she told the crowd. The exchange appeared to be a rare glimpse of disagreement between leadership contenders during the party-run debates that, according to a professor in Regina, have been absent of new ideas or policy platforms. "This is an election campaign, frankly, and I'm very surprised that it's all been this very middle of the road, bland, 'I'm not going to do a thing different than Brad Wall' [campaign]," said Ken Rasmussen, who teaches in the Johnson Shoyama Graduate School of Public Policy at the University of Regina. "It's been a very, very odd leadership campaign that way," adding he's seen no effort from candidates to target specific demographics or groups to get the vote out. He believes candidates — and the party as a whole — are not doing themselves any good by sticking so close to Wall's policies and ideas. "I think they're just living in the shadow of Brad Wall," he said. "Whoever follows Brad Wall is going to have a much tougher job, frankly, than Brad Wall did and they're not going to be Brad Wall with all of his popularity and his charisma," Rasmussen said. He added they will also not have the advantage of high oil and potash prices. Over the six leadership debates, questions ranged from education funding and employment to engaging young voters and Crown corporations. Absent from the list of questions was the topic of the Global Transportation Hub — a subject the Opposition New Democrats have raised in the legislative assembly over and over again. During Thursday's debate, former Conservative MP and Mountie Rob Clarke said the party needs to focus on the GTH land deals, saying it has lost two byelections because the NDP keeps attacking its credibility. Party executive director and race electoral officer Patrick Bundrock said the questions posed to candidates were submitted by party members, and that candidates individually laid out their positions around the GTH early into the campaign. "I think what you have is you have a group of candidates who represent the same party and believe in what the government has completed over the last 10 years and I think it's a good thing, but I think there's also been some very strong policy presented by all of the candidates on that stage," Bundrock said. On membership sales, Bundrock believes the party will have final figures by early next week. With a little more than a month to go before the party hosts its convention in Saskatoon, Rasmussen said there's still a chance to see a candidate try to distinguish themselves from the others. The Saskatchewan Party elects its new leader on Jan. 27.